See scan - perfect condition. 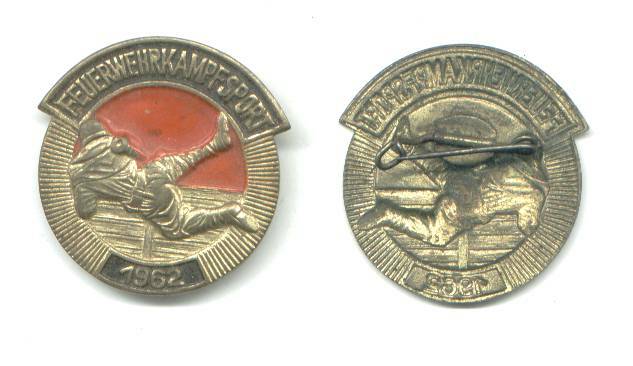 This is a nice and rare East German DDR badge awarded to participants in the Firefighting championship sports game. Scarce and nice collector piece.